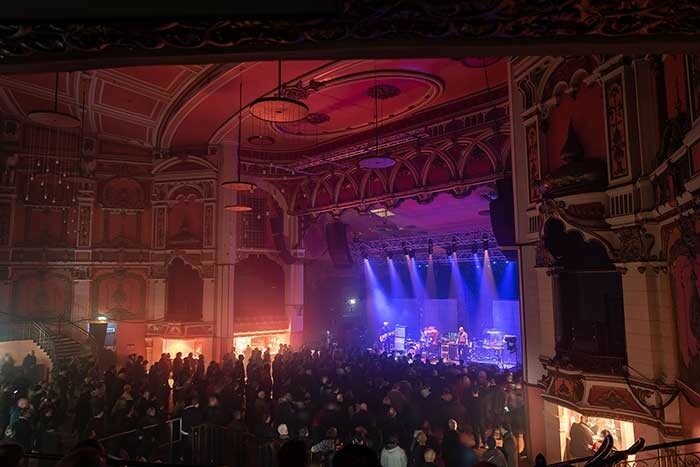 UK – Specialist music venue company VMS Live appointed technical production specialist Adlib to provide a new audio and lighting design and installation in the popular 1,900 capacity Eventim Olympia in Liverpool, one of the high profile live music sites that VMS operates. The auditorium was originally constructed in 1905, designed by legendary theatrical architect Frank Mitcham, as a purpose-built indoor circus and variety theatre and has many original features still in place. It comprises a stalls area in front of the stage and two balcony levels. The middle balcony has a bar to the rear and a thin viewing envelope to the stage. 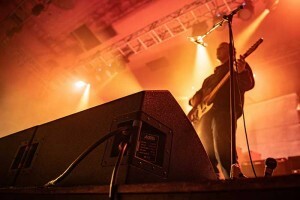 The major audio requirement was to provides a sonic experience to satisfy top level touring artists, offering a viable and attractive alternative to bringing in their own systems. The system design also had to be flexible enough to cater for the many in-the-round scenarios, including sporting and dance events, which are hosted by the venue. 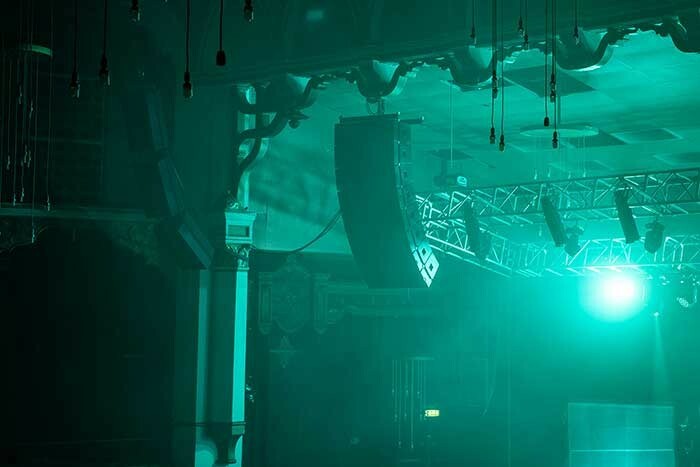 To help achieve this, VMS invest heavily in venue infrastructure, including the provision of new one-ton rigging points enabling substantial audio systems to be flown for the first time. This also makes a serious statement about the Olympia and VMS’s intent to provide a quality venue. Adlib was also delighted when, having selected CODA, the manufacturers’ system specialist George Puttock (also an Adlib engineer for several years) became embroiled in the design, installation and commissioning process. For the challenging middle/rear area of the first balcony, four CODA ViRAY cabinets, two aside in delay positions, are located at the rear of an unused royal box. The monitor system is made up from 12 Adlib Audio AA MP5 wedge monitors and an Adlib AA 215 drum sub – a popular and cost-efficient choice for venues like this – all driven by Linea Research 44M amps. The monitor console is a Soundcraft Vi1. A full complement of touring specification microphones, DIs and stands was an integral part of the Adlib package. The moving light fixtures are all Chauvet, with ten Rogue R2X Spots and 14 R2 Washes, all rigged on the over-stage trusses for specials, wash lighting as well as effects. These were also chosen for their value, brightness and excellent range of features. Six ETC Source Four 15/30 zoom profiles on the front truss provide keylighting and two Unique hazers ramp up the atmosphere and smoke effects, all controlled from an Avolites Tiger Touch II desk utilising the existing house multicore. VMS operations director, Richard Maides commented: “Having signed a new long-term agreement with Silver Leisure as well as a name in title deal with ticketing company Eventim, it was important that all parties invested heavily in the site to achieve its full potential in the shortest period.